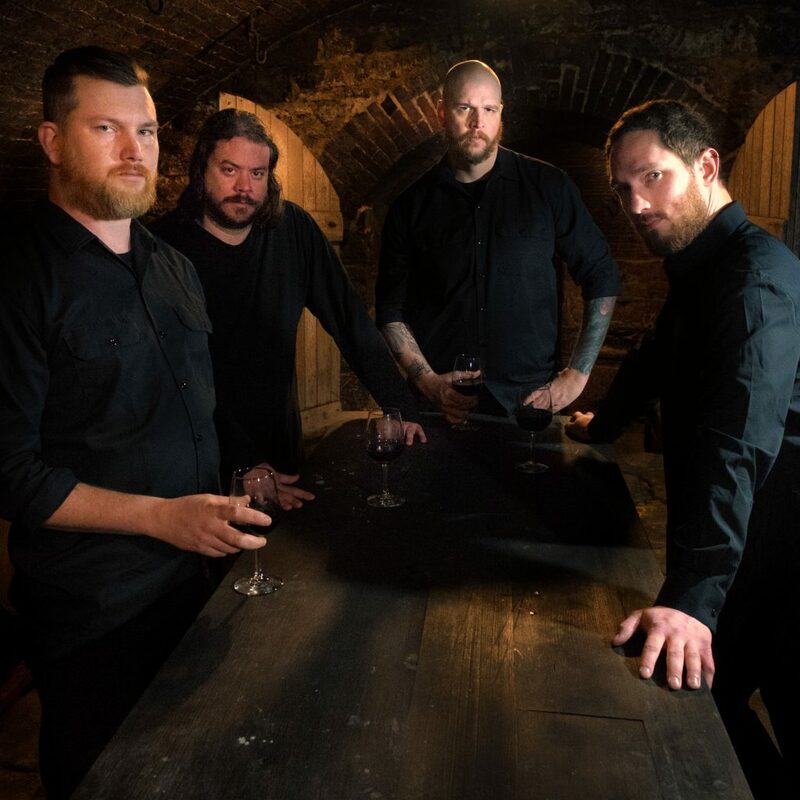 US-based death/black metal band CAST THE STONE, comprising original members Mark Kloeppel (Misery Index,Scour),Derek Engemann (ex-Cattle Decapitation, Scour), Jesse Schobel (Legend, ex-Scour) and vocalist Andy Huskey, will re-emerge on August 31st with their new EP on Agonia Records. The band’s new EP, titled “Empyrean Atrophy”, is pictured below, and features cover artwork by Gary Ronaldson of Bite Radius Designs (Primordial, Kreator, Napalm Death). 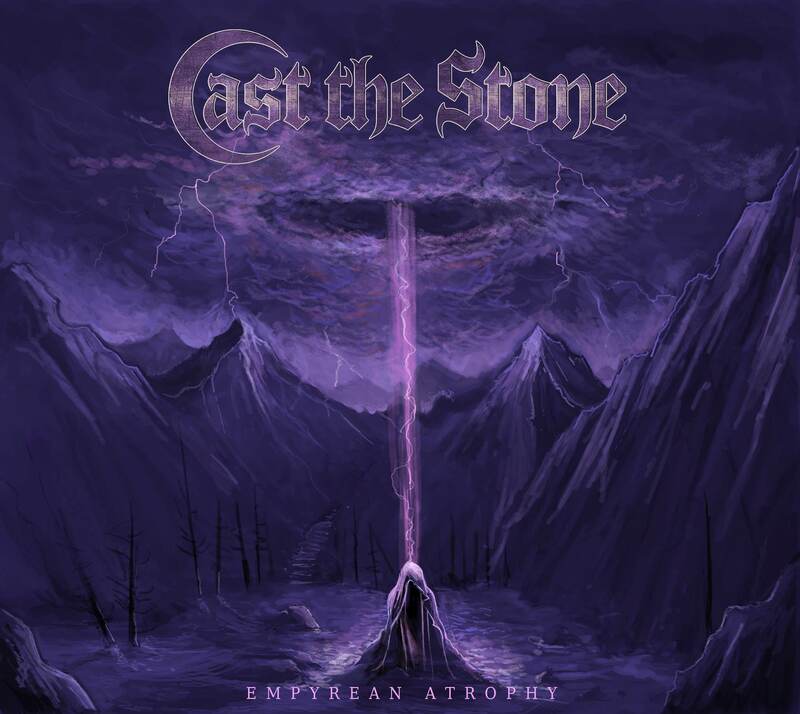 First formations of CAST THE STONE began in 2002, long before its protagonists departed for their better known metal-scene mainstays, including death metal bands Misery Index, Cattle Decapitation, and Scour with Phil Anselmo on vocals. While such ties leave a clear mark,CAST THE STONE emerge not as some metal supergroup, but as a project of the original and purest intent of its membership. Each of CAST THE STONE members is involved in writing music, and each has varying tastes. But they all seem to have one acquired taste in common: an appetite for American and Swedish death metal. On “Empyrean Atrophy”, one can distinctly hear sounds similar to Dismember, Grave, At The Gates, and other proponents of the genre. There are also artisan elements one could liken to more dark and progressive Swedish acts such as Opeth, Edge Of Sanity and Dissection. Perhaps this reason alone, Dan SwanĂś was a clear choice for production (having produced or had been a member of some of the aforementioned bands). Hybridizing the dark ferocity of Swedish death metal through a lens of American brutality, CAST THE STONE hits a creative stride with “Empyrean Atrophy”. Guitarist Mark Kloeppel commented, “The band’s sound is a testament to an enduring spirit thats driven us to return to our most organic influences, merge them together, incorporate disparate elements, and forge our own sound. Each person has a distinct sound unto themselves, so it’s really cool how smooth and cohesive this stuff comes across. You can immediately hear how different this is from the other things we’ve been involved in, yet it’s still very true to our individual styles. Our bassist Derek progressively weaves my guitars and Jesse’s uber-creative drumming style together in a way that only he can. This is all crowned off by Andy Huskey’s crazy death metal vocals which are… well, just listen”.